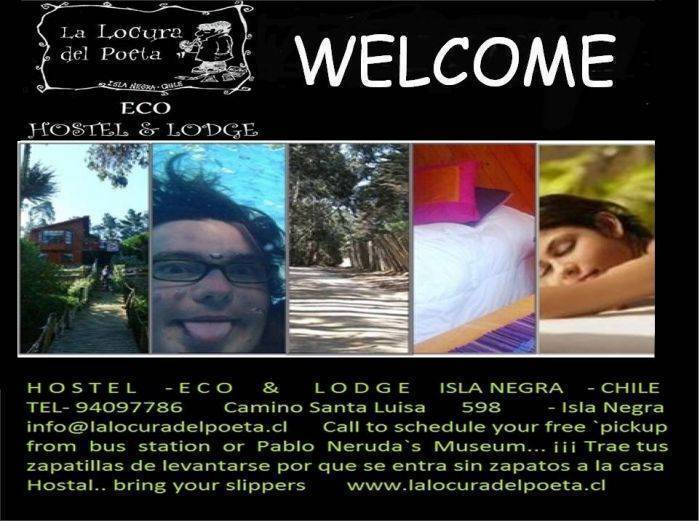 Eco is a hostel located in the quietest part of the coast, within Isla Negra in the East, is amidst a forest of eucalyptus this attractive place. 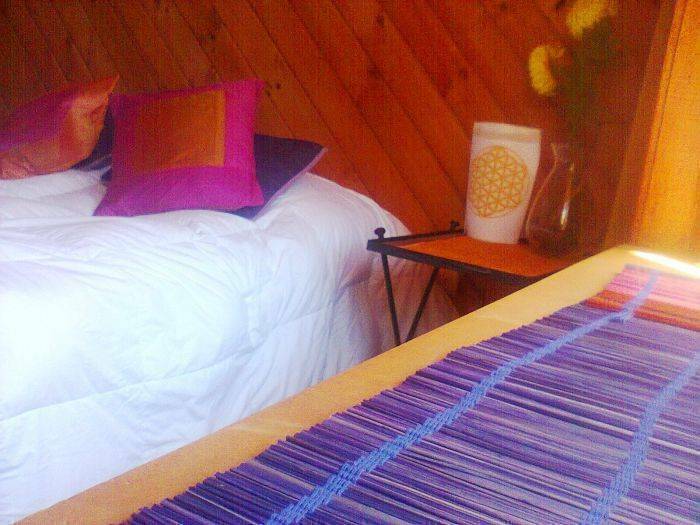 You will find many comfortable rest, peace, accompanied by various alternative therapies such as reiki, yoga, massage, reflexology and magnetism. We received a warm suspension bridge, across which you receive a Tipi and campfire area. Upon entering the house, you should get you the shoes, which is an invitation to get you what you pressed. 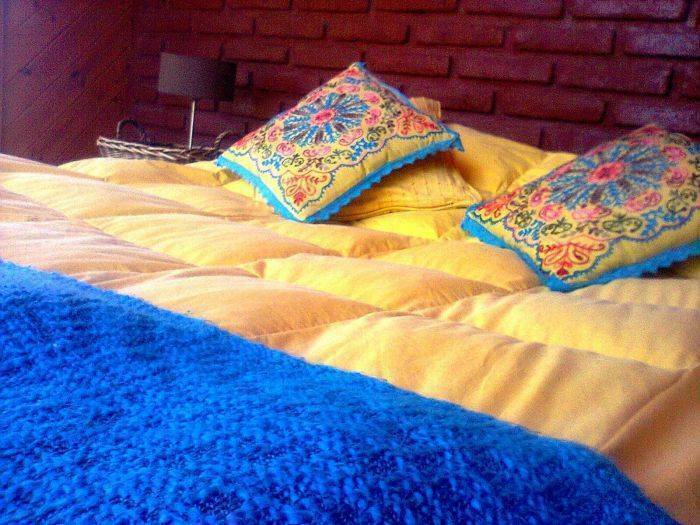 The house is wood, very cozy, nicely decorated rooms, we have pool, grill area. The Inn has nice rooms very warmly furnished with duvets. We have a campfire area, meditation, grill area and pool. This area is surrounded by eucalyptus and cypress pine. The streets still have remained to be paved. The beach is beautiful to see many sea but you can not bathe, for them this close, the beach at Punta de Tralca. 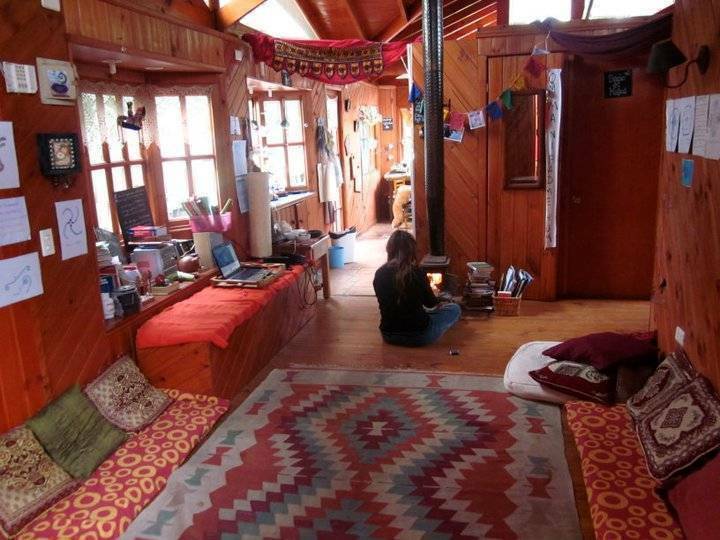 There is also a very typical beautiful place called Totoral where crafts, spirits and typical Chilean food. Restaurants are varied. Cantalao Also this is a viewpoint where is the coast, great place for sunsets. from Santiago can take a bus terminal in Santiago to El Quisco but you should warn people of the bus you is not down in the Quisco but in Isla Negra.